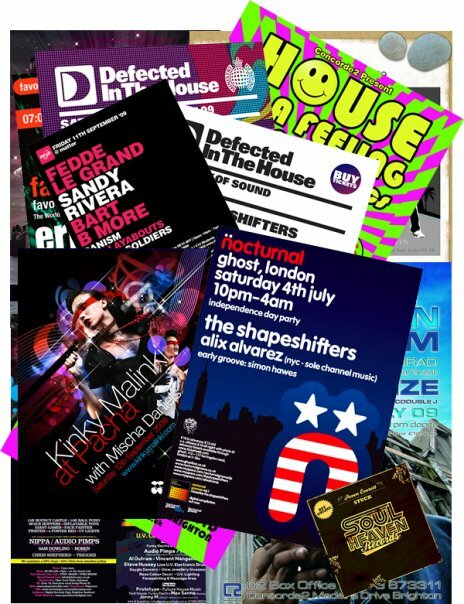 Plain & Simple offer an e-flyer service for venues & promoters. Our customised mailing list software promotes your campaign to our network of clubbers and DJs compiled from subscriptions through our website over the last 10 years or from data capture/collection at events we’ve promoted/worked with. Our bounce handling scripts delete any email addresses that are not successfully delivered after 3 attempts to maintain a clean list. Get in touch today through our Contact page to see how we can give your event/product the exposure it deverves.